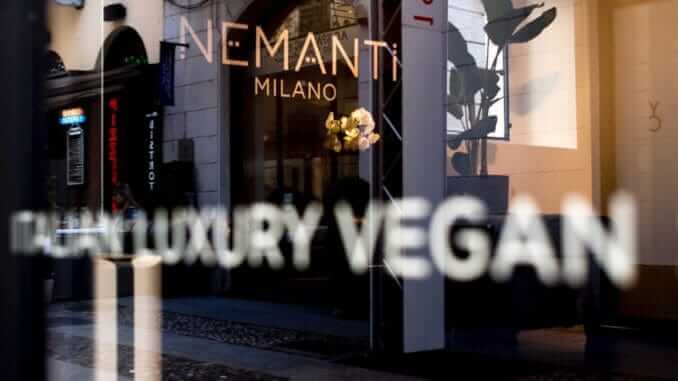 The shoe brand Nemanti produces sustainable vegan luxury shoes in Italy. For the next autumn/winter season, the vegan company has announced a new shoe collection for men and women made using new innovative materials. Nemanti’s fine footwear is designed to appeal to customers who are interested in fashion as well as the environment and ethically responsible products. Naturalness and sustainability are particularly important to the luxury brand, which is why Nemanti devotes a lot of time and resources to finding the perfect materials and creating environmentally friendly shoes. Their comfort, durability and elegance are intended to be comparable to non-vegan shoes. For the shoe designs in the new collection, materials such as Alcantara (a microfibre material), apple core leather and cereal leather will be processed in Italian workshops with traditional shoemaking techniques. These materials are waterproof, durable, breathable, comfortable and in some cases even biodegradable and therefore 100% sustainable. The new women’s collection consists of sandals made of velvet, puffed pumps, ankle boots, and sneakers which combine comfort, style, functionality and ethics. For men there are classic Oxford models, loafer shoes, brogues, and also ankle boots and sneakers, for casual, everyday occasions. For information on vegan shoes made of other innovative and sustainable materials, such as fennel, click here.